Don't make resolutions. Be resolute. The example of Charlie Miller. My father-in-law, Charles Richard Miller (Yes, my wife Monica was born as and now remains, with me, a Miller) provides an example to me of this principle. Charlie’s example to me: be resolute, consistent and intentional about the things that are important in life. Always stay true to your values. And it helps to have good values. This applies whether the yearly resolutions are made or not. New Year’s resolutions are fine, and I have nothing against them, but it is more important and it certainly helps you to successfully achieve them if you are a resolute and consistent person to start with. Any resolutions you make will then be aligned with your values and principles and is an extension of and refinement of them thus making them easier to achieve. Some background. Charlie at 86 years old grew up in small town Indiana (Belleville). At age 18, just out of high school, he volunteered (instead of being drafted) for and served in the Korean War in the U.S. Navy on the aircraft carrier USS Philippine Sea. After the war, he worked for AT&T in a management role. He retired from the “telephone company” in 1989. In retirement, he took up sailing and owned a 30-foot C&C sailboat keeled out for speed and raced it successfully for some years; he was around 60 years old at that time (remember he was and is a Navy man). In the boating years, he identified a problem; cleaning the underside of his sailboat. He figured out a unique, unconventional yet very effective solution. He obtained his scuba diving certification for the sole purpose of this task. 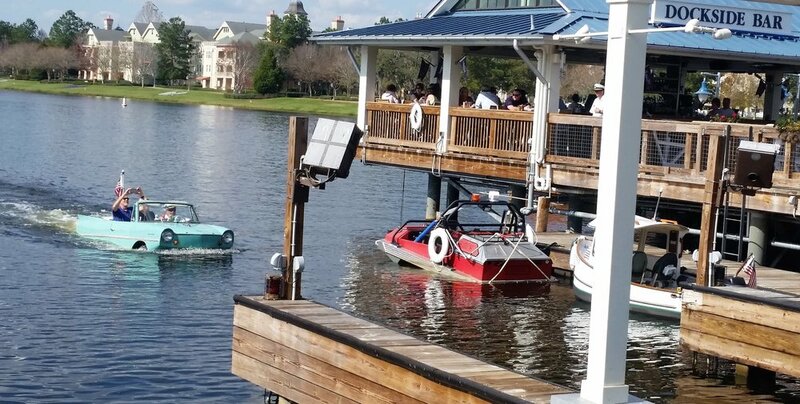 He was now able to gain access underneath his boat while it was still in the water and clean it much more effectively than before. So, there he was in the St. Johns River in Jacksonville Florida, with weights on his ankles in shallow, murky water cleaning the underside of his boat. He never used this training for anything else. Task accomplished. As an engineer, I admire that kind of problem-solving ability and unconventional thinking. An athlete by nature, he raced and rode bicycles for exercise and enjoyment all his life. He raced competitively in in the masters’ category (age 40 and older) and up until about a year ago, he regularly rode 20 miles or more at a time many days. The sport took Charlie and his wife Janice to the big screen as they appeared in the 1979 Hoosier-based movie Breaking Away in true-to-life roles — he as a racer and she as a cycling referee. He doesn’t ride his bike as much today but does walk two to three miles per day. So, instead of simply making a resolution to be healthy and exercise more, he actually did it for decades. And at an unusually vigorous pace. A self-professed TV man (he was trained in television repair prior to taking his job with AT&T) he has followed and kept up with the technology from the 1950s tube TVs through today. He currently owns five TVs including the latest model OLED display. Charlie’s example for me and others: Keep up with new technologies, be flexible and always willing to learn and accept new ideas and new things. Be curious about all things. He currently owns the latest Apple watch, iPhone and a recent iPad, and uses them all. He can and does speak intelligently with me and many others about many topics: sports; both college and pro; cars, TVs and anything electronic, politics and current events and other subjects. I don’t know if Charlie ever made any New Year’s resolutions. If he sees something that needs to be done, he just does it. At the time it is needed. Period. No resolution needed. He has led a life of purpose and accomplishment nevertheless. And isn’t that the point? Not bad for a boy from Belleville, Indiana. According to his high school football coach, my son Will, a senior wide receiver, has ‘made himself into a football player.’ And that didn’t happen overnight, in a vacuum or in a random manner. Achieving hard-earned goals never do. Starting as a youth football player, Will’s commitment to the sport has been obvious, relentless, and fervent. And during game three of his high school senior season, my son’s dogged determination to not just achieve, but surpass his training and game-day goals were realized. Conditioning, training, off-season workouts and just plain hard work, both individually and with the team, were his not-so-secret ingredients to transforming himself into a seemingly overnight senior offensive sensation. When you believe in yourself, anything is possible. In sport as it is in life, consistent and persistent effort toward the goal of making yourself the best you can be equals success. For anything worth doing, there is no substitute for hard work, practice, and preparation. Your toughest competitor is almost always going to be you. In your singular quest to achieve your highest potential, believing you can is half the battle. 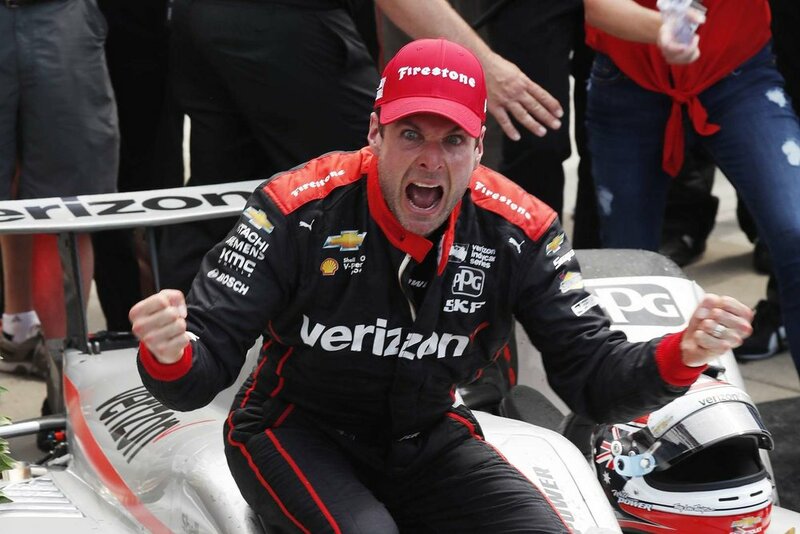 When IndyCar driver Will Power became a first-time Indy 500 Race winner on Sunday, he reacted in a most non ‘Will-like’ manner. The Australian, known for being calm as a kangaroo while amassing his double-digit IndyCar career wins for Team Penske, instantly knew this win was different. This was the race that to date, had eluded him. This was THE Indy 500 that Power had just won, and boy did his joy pour out. He screamed with excitement over and over. Even though he is lactose intolerant, he gladly drank milk from the winner’s bottle – an Indy 500 tradition – then sprayed it everywhere dousing himself and the 500 Festival queen standing nearby. No apologies needed. Unbridled excitement ruled the moment. Power was overcome with emotion in Victory Lane and in doing so, it illustrated just how hard he had worked for that moment. His exuberant reaction showed everyone how important that achievement was to him. Sometimes when events go really well and a hard-fought goal is met, some people are caught off-guard and react in unexpected ways. Have you ever felt that giddy child-like euphoric feeling that comes from accomplishing something great – maybe surprisingly so? What was it like? How did it make you feel? Hopefully, that has happened at least a few times in your life. For me, I got that feeling every time one of my gearbox designs was assembled in the plant and then installed in a customer’s machine. Knowing the customer was satisfied with my design always got me charged up. And when the US Patent Office notified me not once, but three times that each of my patents was approved and issued, I was animated. For a gearhead like me, that’s saying a lot. We all can’t win the Indy500, or a gold medal at the Olympics, but we all can achieve an important and valued goal and capture some of that feeling. As my alma mater’s basketball team, the Purdue Boilermakers, prepares itself for what I hope will be a deep run in the 2018 NCAA Division I Men’s Basketball Tournament, I’m reminded of how my Purdue mechanical engineering education set in motion my profound thirst for knowledge. Throughout my engineering career, I’ve never stopped learning. Whether it be a technical conference or webinar, researching and authoring a technical paper or taking a deep dive into a colleague’s publication, I am intentional in seeking out knowledge to better me personally and professionally. And you should too. Purdue University president Mitch Daniels said, “Every successful enterprise has a very clear strategic purpose.” My personal strategy, one that has served me and my consulting business well, is to be curious and to never stop learning. Indianapolis, Ind. - Innovative Drive Solutions LLC proudly shares that Rick Miller, president and sole member's technical paper was published by Gear Technology Magazine. Miller's technical paper, "Designing Very Strong Gear Teeth by Means of High Pressure Angles" was originally presented by him at the American Gear Manufacturers Association's 2016 Fall Technical Meeting and reprinted in the June 2017 issue of Gear Technology. Miller presents a method of designing and specifying gear teeth with much higher bending and surface contact strength (reduced bending and surface contact stresses). His paper shows calculation procedures, mathematical solutions and the theoretical background equations to do this. Read here. Many have compared life to an orchestra where everyone’s contribution is essential. To make beautiful music together, it’s important to find out what instrument you are best suited for, play it to the best of your ability, and don’t try play a musical instrument you simply are not good at. Be true to yourself. If you’re an oboe player, be an oboe player, but be the best one you can be. Don’t try to be a saxophone player as there are others who are better suited for it. Find out what instrument you are and play it – only it. We all were created to play a part and to play only our part. For me, my contribution to the orchestra of life is to be an engineer, something I’ve known for a very long time. When I was in junior high school, I loved to build plastic model kit cars. My grandmother recognized my bent for all things mechanical and encouraged my hobby by letting me keep the model cars at her house. My 20-plus model car collection resided safely on display in one of grandmother’s spare bedrooms. Had they been in my own bedroom across town, my older brother probably would have smashed them all with a hammer. My grandmother saw something within me that I hadn’t yet recognized and she nurtured it. She knew I was not necessarily bound for a different career, but one as an engineer or in a related technical field. Perhaps I reminded her of her late husband, my grandfather, who was a mechanical engineer. So, a lesson here is that even small acts of kindness, caring, generosity and encouragement can make a tremendous impact in a young person’s life. Fifty years later, I still remember hanging out with my model cars at grandma’s house and the significant impact her mentoring had on me. Grandma knew I was not born to be an oboe player, but would be a darn good saxophone player, and eventually, an engineer. Sometimes little things can help us to figure out what instrument we are in the orchestra of life, and it may and probably will take others to help us recognize this. Once you find our niche - your instrument - resist those who say, you can’t do that, it will never work, or we tried that once before and it didn’t work. People kill ideas if we let them. Don’t let anyone kill your dreams and ideas, and don’t be a dream or idea killer yourself. Don’t break someone’s spirit, whether that person is an employee, a child, or anyone else. Everyone is an expert at something and you are good at something. Don’t put people in a box and put artificial limits on them. So, find your part in the symphony orchestra of life. Find your instrument, what you are best suited for, learn to perform it to the best of your abilities and encourage this in others. Accept what your instrument is and don’t despair that you would rather it be something else. Embrace it whatever it is and know everyone’s contribution to the beautiful music of life is needed. This is what you were created for. Indianapolis, Indiana - Rick Miller announces the issuance to him by the U.S. Patent Office of a patent for a dual rack output pinion drive. Issued on December 27, 2016, patent No. 9,531,237 is an invention intended to be used for the lifting and lowering of the legs of off-shore oil rig platforms. This patent is Miller’s third and the second in the last 15 months. This patent describes a device which enables a single motor to drive a gearbox with two outputs, each one of which is a spur gear pinion which then drives a rack. The invention allows for and helps assure torque and load sharing so that near equal torque is applied to each of the two output pinions. Rick Miller is president of Innovative Drive Solutions, LLC, an Indianapolis-based mechanical engineering design consulting firm. Miller has 40 years of experience in the gear industry, including 37 years with Oerlikon Fairfield Mfg. Co. in Lafayette, Indiana, the last 16 years as chief engineer. With more than 300 original designs, Miller helps clients in the United States and around the globe with his gear and gearbox design and analysis expertise, creativity and out-of-the-box problem solving abilities. Visit InnovativeDriveSolutions.com. I was honored when the editor of Gear Solutions magazine, the number-one B2B publication in the gear industry, selected Innovative Drive Solutions LLC - my design consultancy business - to profile in its November 2016 issue. "As an inventor, I am always discovering a solution to every problem to the benefit of my customers," as told to Gear Solutions. Read the full interview online here or download it here. Each year, the American Gear Manufacturers Association Fall Technical Meeting provides an outstanding opportunity to share ideas with others in the gear industry on design, analysis, manufacturing and application of gears, and gear drives and related products, as well as associated processes and procedures. Photo provided by American Gear Manufacturers Association. And last week in Pittsburgh, the founding location of AGMA, I was among the selected authors to present the results of their work to an audience of knowledgeable professionals from the United States and around the world and to participate in discussions with that audience. It was a career highlight for me to contribute to the engineering profession as a whole, especially during AGMA’s Centennial Year (1916-2016), while enlightening my peers on a subject I know well. My technical paper, Designing Very Strong Gear Teeth by Means of High Pressure Angles, illustrates a method of designing and specifying gear teeth with much higher bending and surface contact strength than that of conventional gear teeth. To obtain the abstract, go here. I look forward to presenting my technical paper at the American Gear Manufacturers Association's Fall Technical Meeting on Oct. 3 in Pittsburgh. By sharing with my industry peers the latest methods and cutting-edge technologies, my technical paper - Designing Very Strong Gear Teeth by Means of High Pressure Angles - illustrates a method of designing and specifying gear teeth with much higher bending and surface contact strength than that of conventional gear teeth. Most people know Bobby Rahal as the Indianapolis 500 race winner from 1986. Do you remember who finished in second place? It was Kevin Cogan who today lives in relative obscurity in a suburb of Los Angeles. Rahal went from winning the greatest spectacle in racing to become an Indy car team owner winning in 2004 with Buddy Rice driving across the yard of bricks, to a successful career in business and owner of 16 auto dealerships in Pennsylvania. In the 1986 race, fellow Indy car driver Arie Luyendyk crashed on lap 195 out of 200 and Rahal passed Cogan on the restart with two laps between he and the checkered flag. He took the lead, won the race and earned his rightful place in racing history. In an Indy Star article profiling Rahal’s career, Rahal talked about that very day, race, and moment when he saw the opportunity to not settle for second place. That day, Rahal and Cogan’s lives were changed forever. I often wonder how many people never go through that door called opportunity. Perhaps some never even see the door and miss an opening to go in a new direction, to take a step toward achieving their goals. Events in life sometimes present us with opportunities; doors so to speak, and we can either decide to go through them or leave them closed and forever forgo that choice and opportunity; perhaps never getting that chance again. And we can’t always control this (see, Andretti; Mario. He and Rahal each won the same number of Indy 500 races: 1). Sometimes it is simply luck and fortune, although it is often said that people make their own luck. Rahal said that in a lot of races (and in life), something happened to put someone in position to win. The lesson that Rahal teaches us is that when a high percentage opportunity is offered, take it and go through that door. You may have but a brief moment to consider your choices and the potential consequences. The opportunity to choose may not come again. Be bold. Take the action and take the (slight) risk. That is how great things are achieved and how great and successful people act. Has opportunity ever knocked on your door, but you failed to open it? Did you miss that one chance in life and it never came around again? Or, like Rahal, did the decision you made that one day change your life forever? Recently the Indianapolis Star identified my career field as a "hot job" and asked me a few questions to help illustrate how mechanical engineers blend technical skills, science knowledge and creativity to improve and advance mechanics. For as long as I can remember, I knew I was going to be an engineer. For others, their talent, training and intellect opens many professional doors one of which might be engineering. To learn more about the career I love and the hot job others seek, click here. Rick Miller is president / sole owner of Innovative Drive Solutions LLC, an Indianapolis-based engineering consulting firm specializing in gears and power transmission devices. Indianapolis, Indiana - Rick Miller announces the issuance to him by the U.S. Patent Office of a patent for a torque sharing drive and torque sharing process. The patent is for invention No. 9,145,956 issued on September 29, 2015. Miller’s invention is intended to be used for the lifting and lowering of off-shore oil rig platforms. The latest patent is the second of Miller’s inventions and a third patent is pending. The U.S. Patent Office issued Miller Patent No. 4549449 in 1985 for his original design of a gear reducer. This invention is a two-speed hydraulically shifted planetary speed reducer serving industries such as construction equipment, road building and general industrial. Rick Miller is president and sole owner of Innovative Drive Solutions, LLC, and Indianapolis-based mechanical engineering design consulting firm. Miller has 40 years of experience in the gear industry, including 37 years with Oerlikon Fairfield Mfg. Co. in Lafayette, Indiana, the last 16 years as chief engineer. With more than 300 original designs, Miller helps clients in the United States and around the globe with his gear and gearbox design and analysis expertise, creativity and out-of-the-box problem solving abilities. Miller earned a bachelor’s of science degree in mechanical engineering technology from Purdue University. He is a member of Society of Automotive Engineers International, American Society of Mechanical Engineers and vice-chairman of the Vehicle Gearing Committee of the American Gear Manufacturers Association. Innovative Drive Solutions, LLC is proud member of the American Gear Manufacturers Association. To learn more, visit InnovativeDriveSolutions.com. Consider the life of this younger Rick. As a teenager, I loved cars – really loved cars. I owned my first car at age 15 before I even had a driver’s license. I enjoyed anything that moved under its own power and especially if it went fast, hence, the go-cart. I can still remember the thrill of having some g-forces against my back while driving my go-cart with the wind in my face and a feeling of utter freedom without a care in the world. I had three siblings - two brothers and a sister, but he knew the answer to this mystery lied with me. I told him I needed it for something more important and re-purposed it, as we would say today. At the promise of returning said engine to my dad’s lawnmower, which I did, my co-cart and I rode fast that day while the grass grew a bit taller. So my advice to my 15 year old self would be as follows. Your possibilities in life are endless and limited only by you and your imagination. Be flexible. Be true to yourself and your values and don’t compromise them. Stay optimistic; don’t get discouraged. Be patient. Life does not move in a straight line. Be prepared for the unexpected because it will happen often if not daily. Learn to embrace and be comfortable with change because change will be a constant in your life. Set personal and professional goals and you will achieve them. Do know it may take more time than you thought and not be achieved in the exact way that you thought. Be prepared to take notice and advantage of opportunities as they arise. Always believe in yourself and know that you are capable of much more than you think. Seek out opportunities that stretch you and where you can learn from others. Never stop learning and growing. Just like when you were a teen, never stop being curious. All of us have been given gifts and talents; things that we uniquely can do well. Use these gifts to the best of your ability. Don’t dissipate them or let them go to waste. As for a job, do what you love and are passionate about. Have some fun in life and be funny. Don’t take yourself too seriously. Set up the processes, work habits and practices, work ethic and environment where success can flourish. Develop and keep a long term time perspective and timeline. Do not fall for the trap of instant gratification. Some choices in jobs and in life can pay off in the short term but not be best in the long run. When I graduated from Purdue University in the recession year of 1975, I had two job offers; one from a large, multinational corporation, and one from a small 100-employee gear company. Upon my father’s advice and recommendation, and with much personal reflection, I took the job at the small gear company that paid a salary that was 23 percent less than the other offer. While working at the multinational company may have appeared best in the short term, and certainly paid more, the job I chose with the gear company was by far best in the long term. It formed the basis for what I am today and led to my current path. Be a person of honesty and integrity and have “do the right thing” as your main philosophy. Find a mentor and listen to and learn from him/her. Much of what you learn will be outside of your job, and many times outside of your chosen profession. Pay attention to these things as they will truly set you up for success. Then, pay it forward when you can by mentoring someone else. Both of my grandfathers were mechanical engineers. One grandfather started a gear company in 1934 called Schafer Gear Works/Schafer Industries that is still in business today and is successful, and the other was Chief Engineer for the Stromberg carburetor/Bendix Fuel Control division of Bendix Corporation with responsibilities for hundreds of people. Early in my career, I set goals for myself that were a combination of both of my grandfathers - to be successful in the gear industry, to rise to Chief Engineer, to be an inventor who obtains patents, and to continue their legacy by excelling in a career in which they could be proud of me. As it happened, all of this came to fruition but neither grandfather lived to see it. Never in my young man’s dreams did I think my 3 HP teenager’s go-cart would be replaced by a 620 HP supercharged Corvette convertible as my favorite mode of transportation. I was of course aware of my grandfathers at age 15, but had only a vague sense of their powerful legacy, the examples they set and the depth and breadth of their professional achievements. Even so, the influence and impact that they would ultimately have on me was significant. As the grandson of two great engineers, what I wouldn’t give to be able to talk to either one of them today. Did I know as a car-loving and go-cart driving 15 year old that I would carry on my grandfathers’ legacy? No, but I do know the engineering profession chose me as it did my grandfathers and for that, I’m thankful.